Okay, playing a little catch up from last week! For those that follow me, remember my post from a few weeks ago mentioning the Diamond Candles? The special person I purchased it for was for my mom for Mother’s Day. Since I couldn’t be there for the special day (I live in VA and she lives in SC), I wanted to get her a unique gift in the mail and made sure it was there in time. 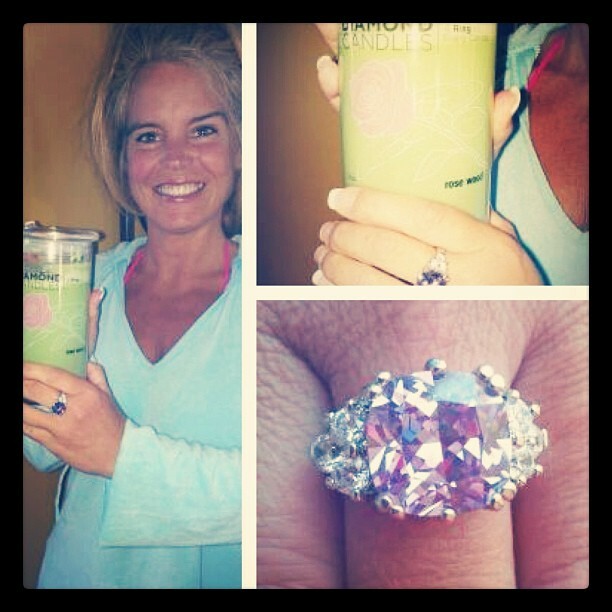 I was itching to know her thoughts on the candle, thinking she would love the idea of getting a ring in a candle, so when she received her package I let her open it immediately! She was so excited to get this gift, especially because of the neat little surprise waiting for her! She was almost going to dig for it! She burned the candle all day for maybe a day and a half until she saw the gold foil which had the ring in it. She wasn’t prepared for how big this ring was and neither was I! She absolutely loves it! I would say this was a success! This Mother’s Day marked my very first one to entertain for my Mother-in-law as well! I don’t think I’ve ever felt more married and more grown up! The entire day was spent cleaning and of course cooking! It was hectic but I loved every minute! I made a few appetizers, baked a dessert, and put together a yummy main course. What was on the menu? 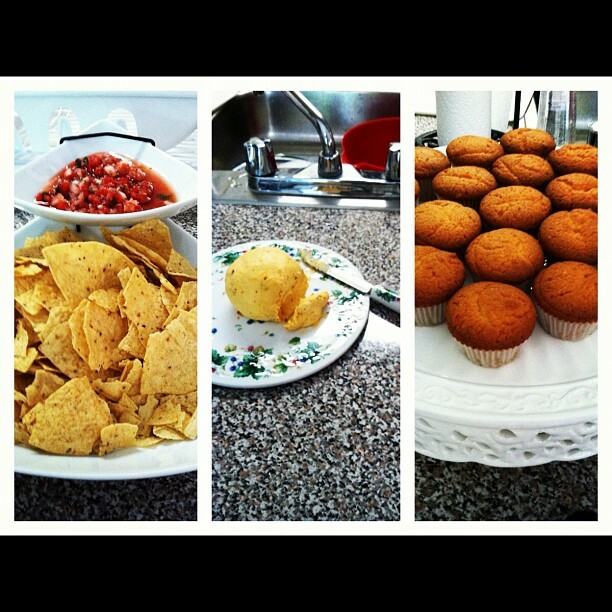 For the appetizers I made a homemade salsa and a cheddar cheese ball. The main course was a blackened and garlic pork loin, roasted potatoes, asparagus, and strawberry salad. For dessert I made almond pound cake bites, which for that I just put pound cake batter in mini cupcake holders. Through preparing my Mother’s Day feast, I decided I really like entertaining and preparing my own stuff. I’m definitely not a Martha Stewart (oh that Martha…), but I would say I’m well on my way to learning what type of woman I am when it comes to entertaining. Hope you all had wonderful Mother’s Day moments this year!